The N5005 In-Ear Headphones by AKG are designed to produce a clear, optimal quality sound with a warm bass response for your listening enjoyment. They are designed for a sound experience that combines one dynamic and quad balanced armature drivers in each earphone. 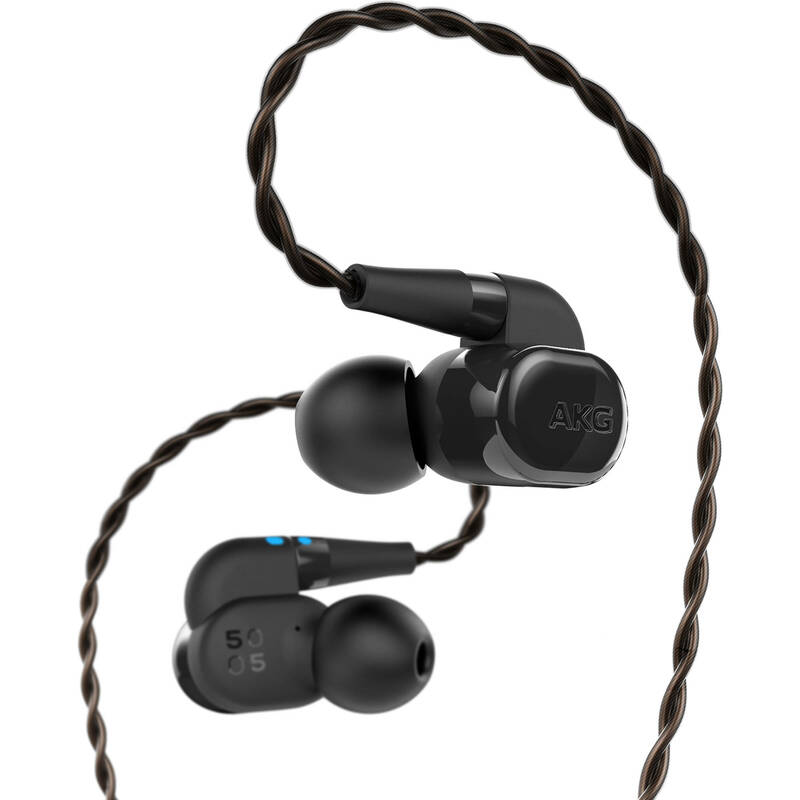 AKG gives you balanced 5-driver 4-way configuration headphones and unique sound-tuning capabilities that let you adjust for four output preferences. The N5005 are customizable thanks to three tuning filters that enable bass, mid, mid-high, or high frequencies to be modulated directly into your ear according to your personal preference. This high-quality audio also provides listeners with a fully accessorized travel package: Bluetooth 4.1 detachable cable, 8-hour battery life, 3-button universal/remote for hands-free, crystal-clear calls, and easily detachable cables. It also includes soft, rounded ear tips that were crafted to follow the ear's anatomy. Hi-res audio with 5-driver hybrid construction for an optimal sound experience by the pioneering combination of one dynamic and quad balanced armature drivers in each earphone. 4 exchangeable sound filters for customizable audio. These one-of-a-kind filters let you adjust for bass, mid, mid-high, or high frequencies to be modulated according to your personal preference. Features a high-performance Bluetooth cable for a hands-free wireless experience, which allows you to listen to your favorite music wirelessly, and take clear hands-free calls. The comfort-driven design with durable, high-gloss ceramic is crafted from premium materials. The N5005 comes with silicone ear tips in four sizes (XS, S, M, L) and Spinfit ear tips in three sizes (S, M, L).